Durango’s Howard Grotts, a 2016 Olympian, rides on Rim Trail on Friday a trail he has ridden many years growing up in the area. In August, I was racing my mountain bike in the Rio Olympics. While the race itself didn’t go to plan, I’m proud of the work I put in to get there, and I am honored to have represented the United States as well as our community. It would take too long to recognize every person and program who made this dream a reality, but I would like to voice my support for one of the most important resources that I rely on as a professional mountain biker – our public lands. When I learned of the Olympians for Public Lands project, I wholeheartedly agreed with the message that public lands should remain public. There are currently numerous proposals that would transfer federally managed lands to state or private interests, threatening one of America’s greatest assets. Nearly all my training relies on public land in some form, whether it’s doing intervals through the San Juan National Forest or riding one of the superb stretches of singletrack on the Colorado Trail. Most recently, I did a two-week bike-packing trip through our state, linking together gravel roads and trails through the Rio Grande, Gunnison, White River and Pike National Forests. Discovering and exploring such spectacular landscapes is at the heart of why I ride, and I want future generations to have the same access to these public lands. I’m proud of the fact that the community of Durango shares these values, backing programs that ensure open public access to trails and wilderness. Durango DEVO, which gave me the support, technical skills, and equipment necessary to launch a successful competitive career in the sport, has grown from a handful of kids to more than 1,000 over the past decade. That means that more than 1,000 local youths are using, sharing and appreciating our lands. I am very mindful that these programs would not exist without easily accessible trails, which are the basis of the sport. In the off-season, I spend more time off the bike, scrambling up peaks in the La Platas and camping in the Weminuche Wilderness. It’s great cross-training, but also the perfect way to unplug from today’s hyper-connected world and enjoy the magnificent landscape that we live in. Without the public lands we share and use, this region would not be what it is. Open land features heavily in our national identity, and I encourage everyone to support the preservation of those spaces for future generations of athletes and citizens. 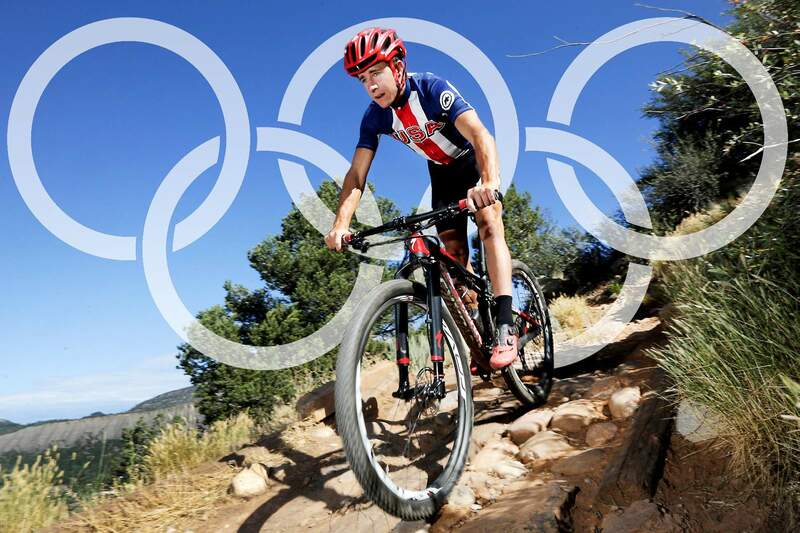 Durangoan Howard Grotts is the current cross-country mountain bike national champion and competed in the 2016 Rio de Janeiro Olympics. Reach him at hbgrotts@live.com.